Cloud dough is usually made with flour and baby oil. This one uses sunflower oil instead. Popping it in the freezer makes it extra cold but it doesn't freeze. 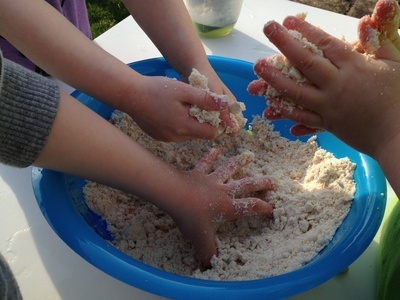 It's a great sensory experience and can be moulded into shapes. 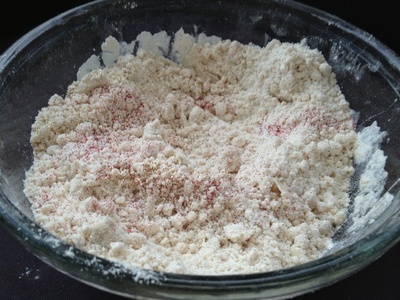 Mix together the flour and oil to create the cloud dough. Add a sprinkle of glitter. Pop it in the freezer for a few hours or overnight to make it shivery cold. 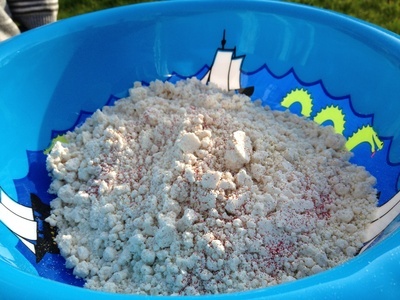 Pour in a container and step back and watch while your kids enough this sensory fun.